The recently redesigned Honda Accord boasts premium amenities and highly efficient powertrains that deliver an upscale driving experience at an affordable Honda price. 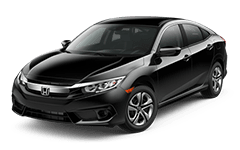 The stylish new Civic models are here in stock, including sedan, hatchback, coupe and performance variants that are sure to impress drivers with their high-tech features. 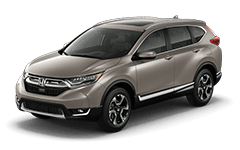 Honda's versatile CR-V compact SUV offers the space and comfort you crave, matched with advanced safety features to enhance your every journey. Test drive the CR-V today! 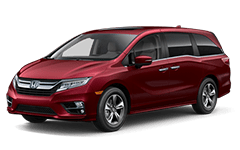 The family-friendly Honda Odyssey is a top-selling minivan that boasts three rows of seating plus advanced cabin and safety technologies that help secure your precious cargo. Welcome to the online home of Columbia Honda, the Columbia, Missouri area's source for new and pre-owned Honda sales and financing. As a full-service dealer, drivers from nearby Jefferson City and Moberly, MO can also turn to us for professional automotive service and genuine Honda parts and accessories. Whether you begin your search for a new Honda or used car here on our website or during a visit to our showroom and dealership lot, you will find a stellar selection of cars, SUVs and pickups for sale at competitive prices. The latest Honda CR-V, Civic and Accord models are all here in an array of trims and configurations, so shop today! Our in-house finance team is always available to answer your auto loan questions, and our simple online credit application takes just minutes to complete, allowing you to get pre-qualified for financing in no time! Remember to choose Columbia Honda for all of your Honda and automotive needs now and in the future, as our team of trained and certified service technicians and Honda parts specialists are standing by to assist in keeping your Honda running smoothly for many miles to come. Explore our many automotive services here on our website, then stop by our dealership in Columbia, MO for a complete tour as well as a test drive of your new or used Honda of choice! Drivers from nearby Jefferson City, MO and beyond can shop and explore the very latest Honda models here at Columbia Honda. From the Honda HR-V, Fit and Civic to the Odyssey, Pilot and Ridgeline, you will find an excellent selection of new Honda automobiles in stock, with more arriving regularly! 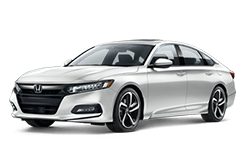 Shop our online inventory now, then plan your visit to our Columbia, MO dealership lot to speak with our helpful Honda sales staff about the new Accord sedan you want to drive home. You can comparison shop Honda models to find the right car, SUV or pickup for your lifestyle and budget. No matter if you have a brand-new Honda sedan or a late-model used SUV in mind as your next vehicle, the Columbia Honda finance staff is here to assist with the auto loan process. Getting pre-approved for financing is quick, thanks to our convenient online finance application. Car buyers in sub-prime credit situations now have a safe and secure place to apply for car loans, since we work with drivers of all credit backgrounds! Apply online today and do not forget also to see what your car is worth as a trade as you look to secure financing for your upcoming Honda purchase! Every Honda automobile deserves to be treated to authentic, factory Honda parts. When you shop the parts department here at Columbia Honda, you can help ensure that your car, crossover, SUV, minivan or pickup remains 100% Honda! We carry a wide-ranging supply of OEM (original equipment manufacturer) parts from Honda that are designed and engineered for use on your Honda model. Our Honda parts specialists are available for assistance over the phone or in-person at our dealership. You can also order Honda parts through our website via our parts request form. When you are looking for a quality late-model car or SUV at a driver-friendly price, why not make it a Honda? Our used and certified pre-owned (CPO) selection of Honda vehicles is tough to match in the Columbia, MO area, and we also stock pristine used cars from other automakers, too. We invite you to shop our used car inventory online right now, where you can browse at your convenience and even filter your search results by price, mileage, make, body style and more. We want to give you all the tools to secure an affordably-priced pre-owned vehicle, so shop and visit us today! Honda automobiles are engineered to deliver dependable performance. When your Honda requires maintenance to keep it running at its peak, take it to the service staff at Columbia Honda. Our service department near Moberly, Missouri is home to Honda Master Technicians and ASE Master Certified techs who are all factory-trained by Honda. We utilize genuine Honda parts and fluids to help ensure that every maintenance or repair service provides top-notch results. Book an appointment at our service center today for a multi-point inspection, oil change, tire service or other maintenance. Here at Columbia Honda, we are a modern car dealership that believes in giving our customers the tools to secure financing, shop Honda offers, explore our inventory and request a service appointment -- all from our website! We welcome local drivers from nearby Jefferson City and Mexico, MO to start their new Honda or used car search online and contact us with any questions. Our staff of sales, finance, parts and service specialists is here, ready to assist you during your visit to our full-service Honda dealership in Columbia, MO. Visit us to see why shopping at Columbia Honda is the smart choice!